It's 2011, and thank goodness 2010 is gone! Already we have our January White Sale in progress! Western Bedding, Western style Sheet Sets, and Western Window Treatments are all on sale! On top of our sale we have lowered the regular pricing on our western bedding sets. you will find us very competitive with other E-commerce sites offering similar products. This year 2011 will bring some wonderful surprises, including our getting back to our roots philosophy and you will start seeing the types of unique products that has established us in western decor. http://www.RedroseTexas.com is still alive with products, while still pushing our new website http://www.RetroCOWBOY.com up in the search rankings. where part of our back to our roots is going on by offering Longhorn Steer Skulls to our customers. 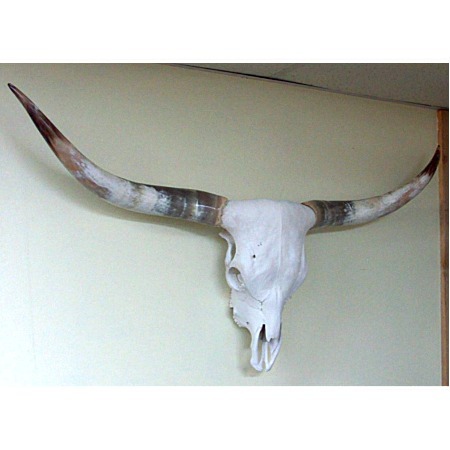 Shippable to anywhere in the United States, these pieces make a statement in your western decor home or business. Check it out! Thanks and have a wonderful year!